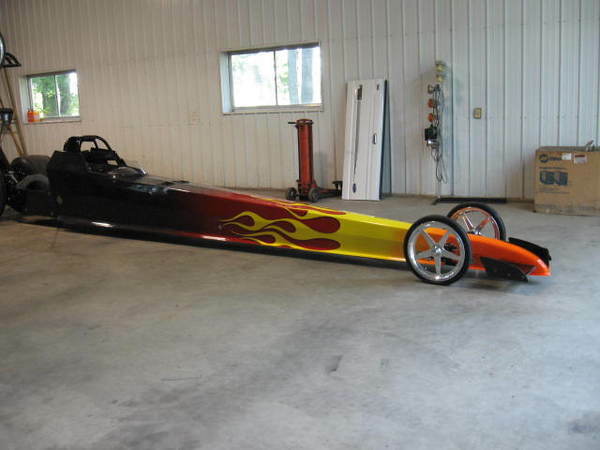 K & R procube Delay box.This dragster has very fee runs on it, the engine is new, I had it out last year and made a couple of runs, that is all the runs on the engine. after that got sick and could never get back out. Pace 40' fifth wheel trailer with three axles, cabinets and bins for fuel and accessories. Trailer was always stored inside.Contact by e-mail at ([email protected]). TradesAccepted: Would Consider Street rod with comparable Value.